life is never level but filled with ups ;and downs. You are doing the important thing by just persevering in whatever you can do to not go backwards to any great length. I share the same woes as you, minus the cardiac, but now it appear platelets may come into being. Our summer has been riotous to say the least, and I am eagerly awaiting Autumn so that I can get back to my wartime recipes and books, all thanks to your lead. I follow you avidly; please know that I am on the sidelines and in the background madly cheering you on! Glad news was generally positive. Remember, you can only do your best. Don’t be hard on yourself. Keep up the good work. 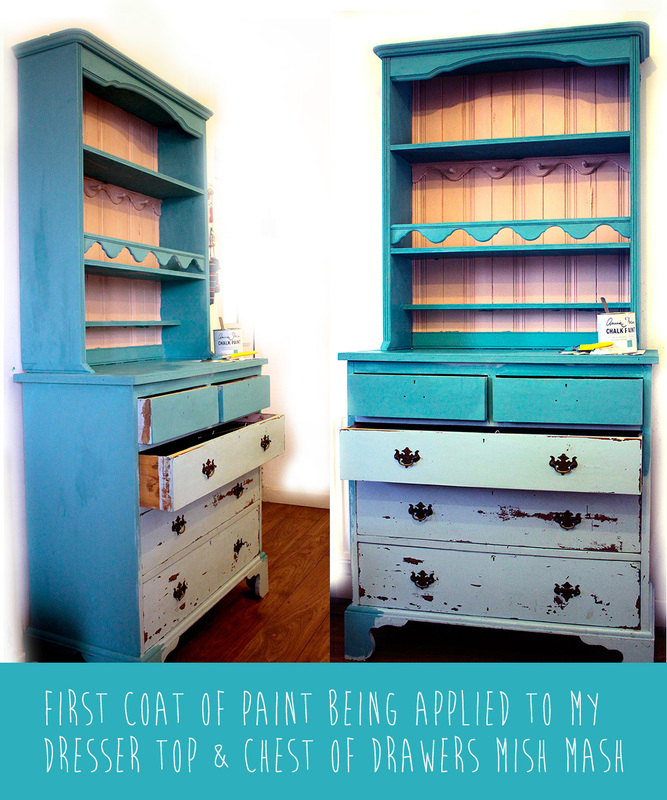 Love the color of the dresser! Please post a picture when you’ve finished. Keep the light training going. May not get to walk this one but there is always the next one. See if you could volunteer at one of the water station or something. Just being involved, should keep you inspired. Of course, you could walk as far as you can, comfortably. Then have someone pick you up and take you to the finish line. I really like what you are doing with that chest and hutch. Your tea cups will look divine displayed in the hutch. I am thrilled you are where you are in your journey. I’ve slowed stuck over the last few weeks but will get there. Your dresser will look fab pnce done. Keep up the good work. THANK YOU ALL very much for leaving comments which I’ve enjoyed reading a few times. Honestly, it really does help me stay positive and don’t know sometimes how I’d keep motivated without them so I really do mean it when I say I appreciate them. It also seems so many people are on their own personal journey and just love to read what you are doing too. Just came back from walking 6 miles at the absolutely beautiful Wollaton Hall and Deer Park just 3 miles from my house here in Nottingham UK. The open spaces, trees, rolling hills and of course the deer and wildlife and the fresh breezes and sunshine just leave me with a huge sense of well being and my eldest daughter and I put the world to rights during these walking times together. The older I get the more I appreciate these moments, the beauty in our surroundings and the time when I can get outside and enjoy them. If there was anything I could wish for right now would be more time to do these things. Just had my lunch and off to pick up some groceries. Then it’s time to tidy my bedroom and then make dinner (1940s cookbook time!) and after that will be putting a few more hours into a website I am creating in my spare time for a small business. The little bit of extra money this will earn me I am putting to funding our trip to York to take part in the Yorkshire Marathon on October 9th. Did your dr tell you that your heart issue from birth is relatively common in women? It goes undetected unless other issues, like illness or as you admit, weight, cause it to be a problem. My daughter and I both have it. I’m glad you heart news is generally good. And that you’re being gentle with yourself when facing a pause in your journey. I hope your heel feels better. Thanks for being so open and genuine. I enjoy reading your posts; Ihave found motivation and humour in them!